This piece was published by The Miami Herald following Antonio Carlos Jobim´s passing, December 1994.
a secret delicately unveiled, detail by detail. Jobim was a master at it. His first hit in North America was “Desafinado,” in 1962. Two years later, Jobim struck again. The impact was even greater. to be in the studio, sparked a bossa nova craze. It’s unlikely best-selling pop music will ever again be this gentle. dentist’s offices and hotel lounges. And in Jobim, the music is a fitting reflection of the man. pretender means something else. It means to intend, to aspire. His stepfather bought a piano for Helena, Jobim’s sister. into music — almost literally. others and is still considered the Bible of bossa nova. It shook the Brazilian pop scene. called balanço, a gentle swaying. Aloysio de Oliveira, and the results were often exceptional. 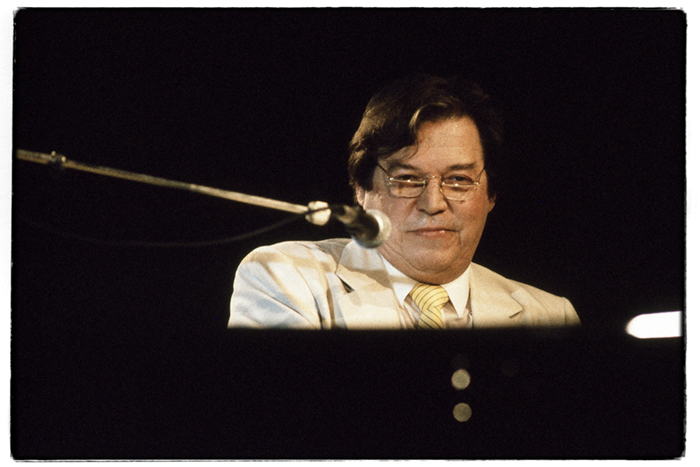 by Jobim, is a dazzling game of sound and meaning. Gershwin. He died their peer, a rare poet of pop music.